Honestly, this dog can almost pass as a stuffed animal—excellent behavior, perfectly fluffy fur, he’s too good to be real. 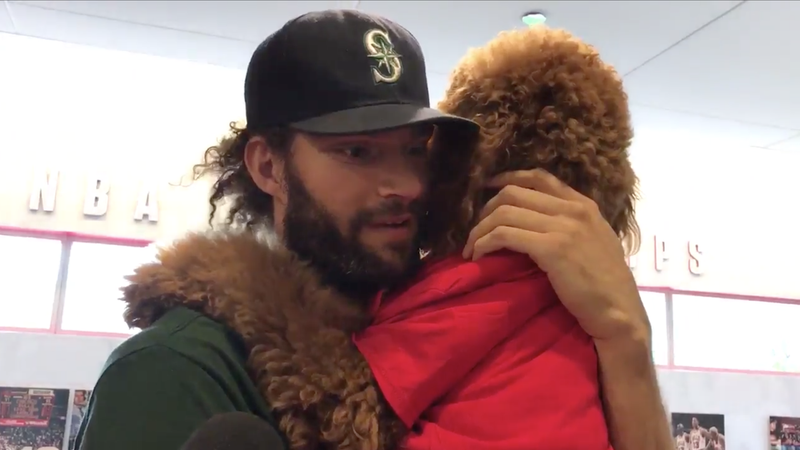 Thankfully, Lopez shares photos of Muppet fairly regularly, so no need to wait until the Bulls are playing basketball again for your fix. Update (1:55 p.m.): Oh, my goodness.